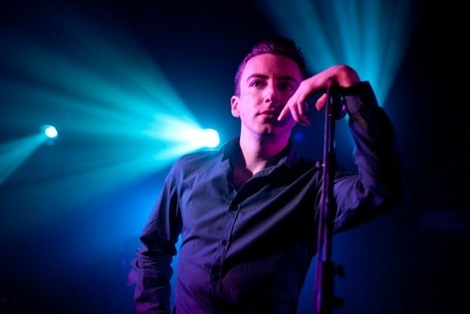 Eugene McGuinness is revelling in the freedom of his direct new sound and ahead of his homecoming gig at the O2 Academy, he tells Getintothis’ Alan O’Hare, I’m looking forward to taking centre stage again. 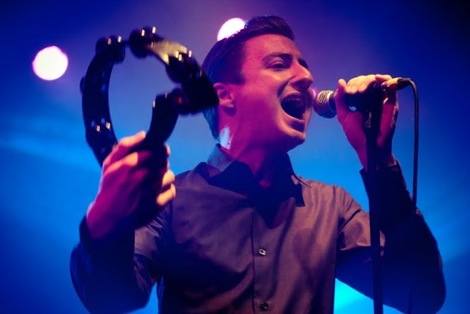 Eugene McGuinness wanted to make a modern sounding record. Fair enough, as the guitarist in Miles Kane‘s touring band and a songwriter who uses said instrument as his primary tool of composing, there is always going to be an element of retro to his sound. But the leader of The Lizards, now 27, thought 2012 was the time to make his mark in the studio with the recording of current record, The Invitation To The Voyage. You’ll probably remember his ‘Early Learning’s Of…‘ EP causing a stir around town back in 2007. It was a tune born in Liverpool that brought him to the attention of the zeitgeist: Bold Street was a lo-fi classic that defined that period. “That seems like such a long time ago now! There’s a different energy to the music on this album though,” he declares. He’s not wrong. Guitars are loud, the drums demand attention and the songs are straight and true, rather than quirky and left of centre. He’s on tour in November and glad to be stepping out on his own again: “I enjoy playing with Miles and the band – it’s like a busman’s holiday! But I’m looking forward to stepping into the middle of the stage again and playing this new album live. His backing band, The Lizards, make a cracking racket and the singles from Eugene’s latest album certainly stand up live; songs like Lion, Thunderbolt and Shotgun come on like a young Liam Gallagher singing on a long-lost Bond soundtrack. Eugene McGuinness may have released his third album this year. But it suggests he’s only just getting started. Eugene McGuinness plays The Liverpool O2 Academy on Sunday November 11. Picture by Getintothis’ Marie Hazelwood.